While those in the northern hemisphere get ready for summer, those in the world’s southern hemisphere must brace themselves for winter. In Australia particularly, the winter months see an end to the country’s traditional sunshine and fun; instead seeing the onset of colder weather and flu season. While improved opportunities for easy travel around the world mean that people may potentially fall victim to influenza at any time of year, in Australia itself, flu season generally peaks between July and September. Modern medicine means that the flu is certainly not as deadly as it was once, but nevertheless it is still a severely debilitating disease that can put people who may be particularly vulnerable at added risk of serious health issues. Flu is treatable though, and while it is impossible to completely remove the risk of infection, a well-timed flu shot can very much help minimize any risk of complications from contracting the illness. Flu shots should be administered to anyone who is 6 months or older, regardless of whether or not they are generally healthy or at risk of complications. While it does not guarantee immunity in every case, a flu shot does have a 60 to 70 percent rate of success and can seriously reduce symptoms and risk should an individual contract the flu virus. 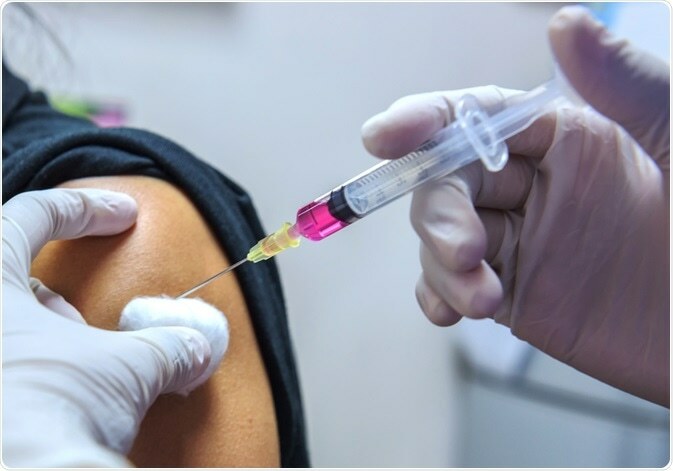 Many of the groups considered to be ‘at risk’ are eligible to receive free flu injections, while in some cases these costs may be covered under private health insurance schemes. It is essential to remember that a flu vaccination is not a one-time vaccination and that this must be repeated annually. This is because the vaccination will immunize against the 3 or 4 most common strains of flu for that year (as established by health experts) but these strains may differ from year to year. A flu injection will generally provide immunity for up to a year, but it can take up to two weeks for a person to build up their immunity following the injection. With this in mind, people (especially those vulnerable groups mentioned above) are encouraged to get immunized in advance of the flu season, generally between March and May for Australians. It is possible to get the latest flu injection at any time while this is available, but delaying this may mean that it does not provide complete protection in time for flu season. The flu can cause severe medical complications to both vulnerable people and very healthy ones. A major factor is the risk of secondary infections which can put even more strain on an immune system that is already compromised. While there is currently no cure for the flu, treatment is available that can help reduce symptoms and make a person’s immune system more capableof helping them recover. While antibiotics will not be prescribed for the flu itself, these may be recommended for treating secondary infections like respiratory problems which have been triggered worsened by the onset of the flu. It is a good idea for individuals to seek medical advice if they suspect they have the flu. This not only helps to assess their risk of further complications but can also help rule out other infections. More so, the most effective treatment for the flu is to get bed rest while still suffering from a fever and ensuring that individuals remain hydrated by drinking plenty of fluids.